Renault has announced the 2013 Renaultsport Clio 200 at the 2012 Paris Motor Show. 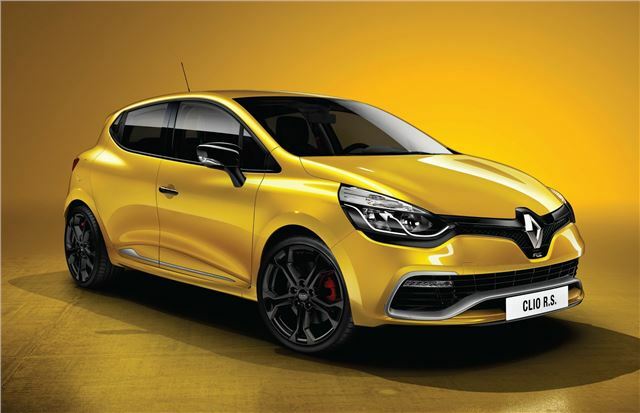 The high performance version of the new Clio has a tough act to follow – the outgoing model is widely regarded as one of the finest hot hatch models. It has the same 200PS power output as the old car, but this time it comes from a 1.6-litre turbocharged petrol engine. This produces 25Nm more torque than the old engine and it’s available across a broader rev-range – from 1750rpm to 5600rpm. Purists might not like the new gearbox though, which is an EDC dual-clutch rather than a traditional six-speed manual. It does have steering column mounted paddles so drivers can still take control of gear shifts. In ‘Race’ mode, shifts take 150 milliseconds. This gearbox, combined with a smaller engine, means efficiency is improved. As with the outgoing model there is bolder styling inside and out with both Sport and Cup chassis versions, the latter of which is stiffer and tuned for track day enthusiasts. Buyers can also configure their car more comprehensively than before thanks to new customisation options.